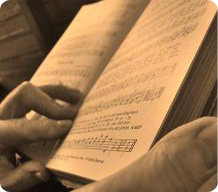 This service features the Lutheran liturgy and traditional hymns accompanied by the organ. Holy Communion is celebrated every Sunday. Socializing, coffee & donuts are in the Fellowship Hall before the service or stay after for refreshments and time with others in the Library.